The company is currently beta testing the VPN feature that is being integrated into its Opera for Android web browser. Opera integrates VPN directly in its Android browser. The feature is currently in beta testing. The option will enable users to browse the web more securely. Opera shut down its standalone VPN app last year but it has announced plans of reviving the privacy-centric feature for its Android browser. The company announced that it is working on integrating the feature in the Opera for Android browser and has just started testing it. Beta users of the app will be the first ones who get to use the new free feature that will come built-in into the browser. Those who have beta access to the feature can enable it by enabling it from the ‘Settings’ option of the browser. The company explains how the feature works in a blog post. Once VPN is enabled, the feature replaces the user’s IP address with a virtual one that makes it difficult for websites to keep track of user’s location, identify the device being used and target ads. Additionally, Opera’s VPN is said to be a no-log service that doesn’t collect any information that is sent using the feature. Like a full-fledged VPN app, the in-built option will enable users to set location as America, Asia or Europe. If the location is not selected, it will automatically select the best connection. One can also turn the VPN on when browsing the internet in Private mode. “The tests for the built-in VPN will continue for some time with a gradual rollout to our beta users. We suggest for you to keep an eye on the news about Opera for more information about it,” Opera says. 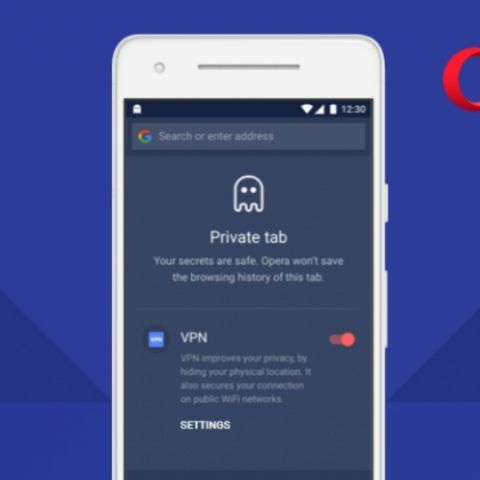 February 5 was Safer Internet Day and same as Opera, Google also announced some new tools to help users stay safe on the internet. The company has announced its Password Checkup Chrome extension that works just like HaveIBeenPwned. It basically matches your login credentials with its database of breached usernames and passwords and alerts you if it finds that your credentials were ever a part of a data leak. In case your credentials are a match, the extension will trigger an automatic warning and suggest that you change your password.